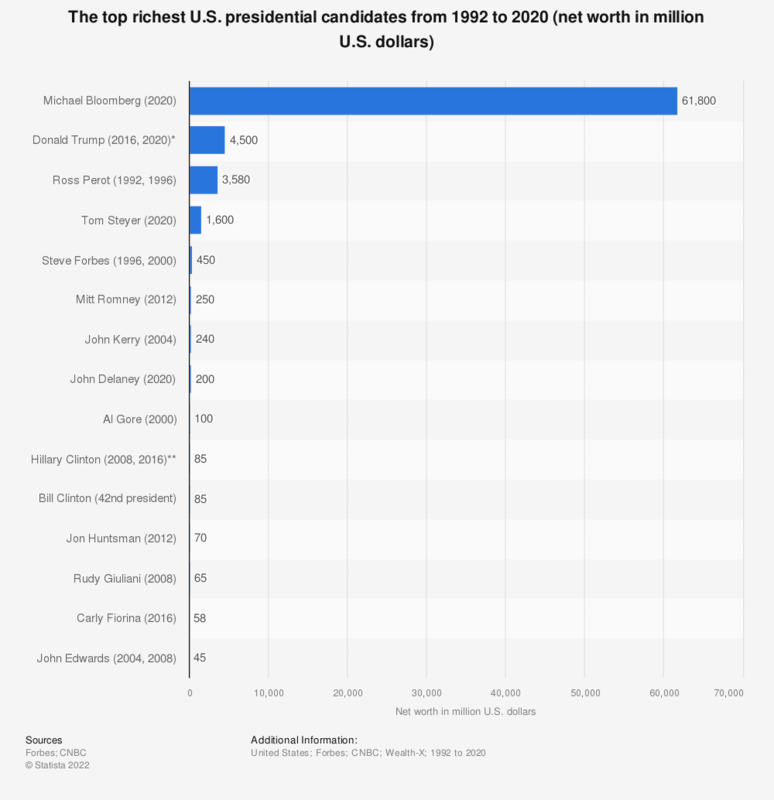 This statistic shows the top richest U.S. presidential candidates from 1992 to 2016. The wealth data shown lists the candidates' current net worth, regardless of whether he made his fortune before or after his presidential run(s). The presidential candidate with the highest net worth today is Donald Trump. His current net worth totals around 4.5 billion U.S. dollars. Data for 2016 candidates from Forbes. In your opinion, will the victory of Donald Trump as president of the United States of America have impacts on the Constitutional Referendum of December 4 in Italy? Who do you think is actually going to win the US presidential election on November 8th 2016?